KONICA MINOLTA DIGITAL CAMERA This was the car which was supposed to stem back the tide of the new American subcompacts — the 1972 Volkswagen Super Beetle. As things turned out, it wasn’t Super enough to give a second life to the venerable old German People’s Car. 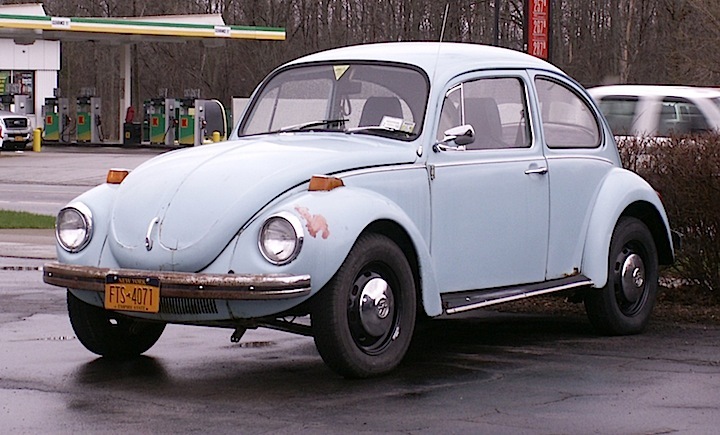 Yes, it had a bigger trunk and a better front suspension than the standard Beetle, but it was still an ancient design, especially when it was being compared to the more modern Pintos, Vegas, and Gremlins. It held VW over until the new Rabbit appeared a few years later though. This blue sedan was seen a while back in Orchard Park. — Jim Corbran, RRofWNY The post RealRides of WNY appeared first on Buffalo Cars.